How Did America Get it’s Name? Maybe not the way most of us believe or were taught. Similarly to many other countries, the US did not decide on its name after a careful selection process in which its people sought a fitting linguistic symbol of shared national heritage; instead, its name was somewhat randomly bestowed upon it by an outsider. 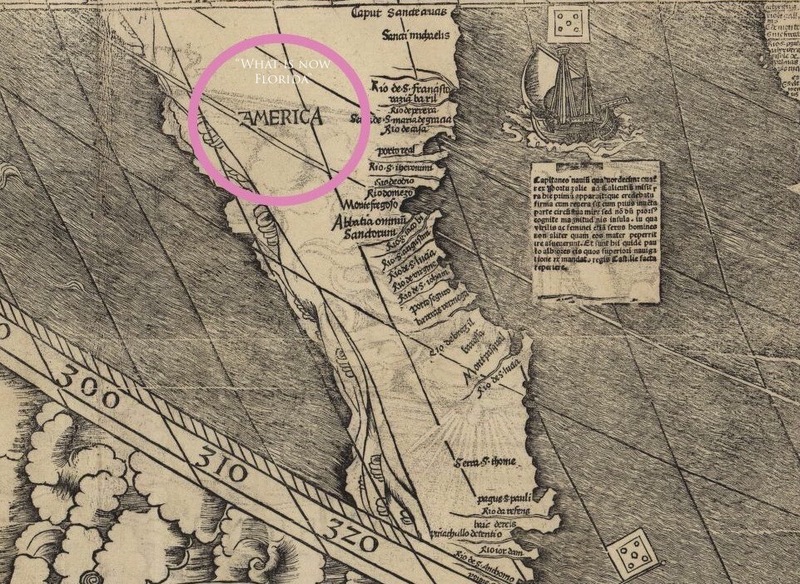 The person credited with naming America was a German cartographer named Martin Waldseemüller. Born around 1470, Waldseemüller drew his seminal map in 1507 with a colleague, Matthias Ringmann. He created a 32-square-foot woodcut map that had a land mass separate from Europe or Asia, in its own hemisphere, with two oceans on either side. And he gave one sliver of it a name: America. More on the Story Go here. This entry was posted in Good Friends and tagged 1507, America, linquistic, Martin Waldseemüller, naional heritage, Naming, seminal map. Bookmark the permalink.